The Guitar Column: What Does Body-Painting Have to Do With The 2010 International Adelaide Guitar Festival? What Does Body-Painting Have to Do With The 2010 International Adelaide Guitar Festival? 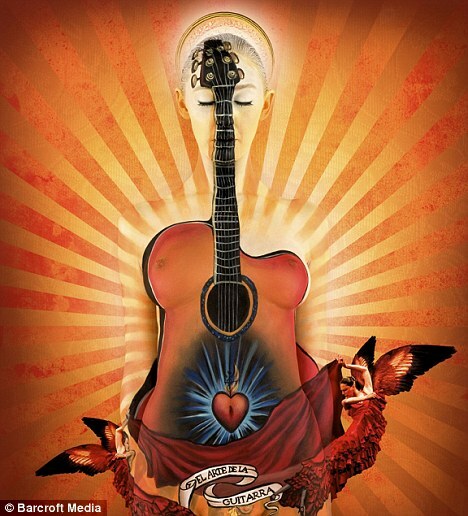 What does body painting have to do with the 2010 Adelaide International Guitar Festival? While my previous post on the Splato-caster featured paint in a guitar body, this one features a guitar painted on a body. How about that for interesting parallels.. The work of Australian body-paint artist Emma Hack, this breathtaking work took more than ten hours to complete and is being used to promote the 2010 Adelaide International Guitar Festival that will run from 25th - 28th November. Apparently, the piece will be displayed throughout the duration of the festival and will be auctioned off at the end. Although it is not entirely clear if the winning bidder gets to take the actual work of art home.